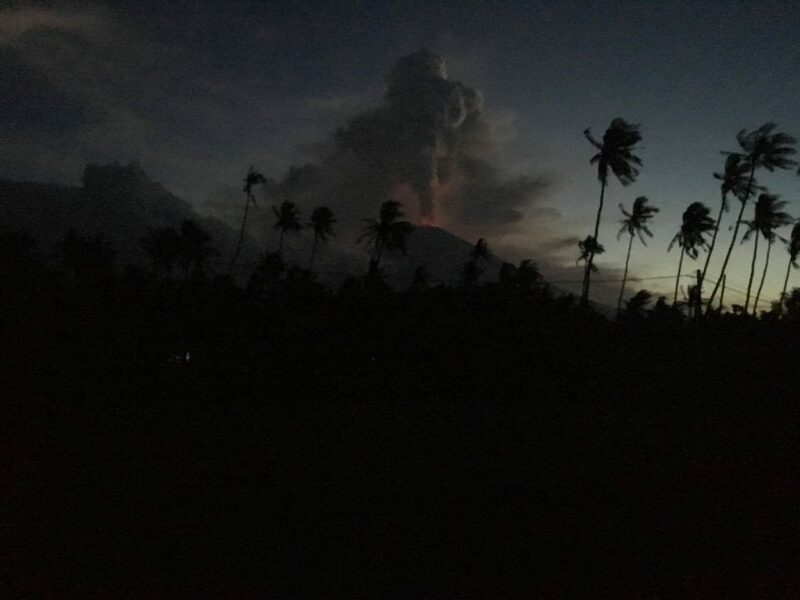 Agung volcano refuses to go back to sleep in Bali Indonesia. Activity seems to be picking up again! Plenty of flights cancelled… OMG! 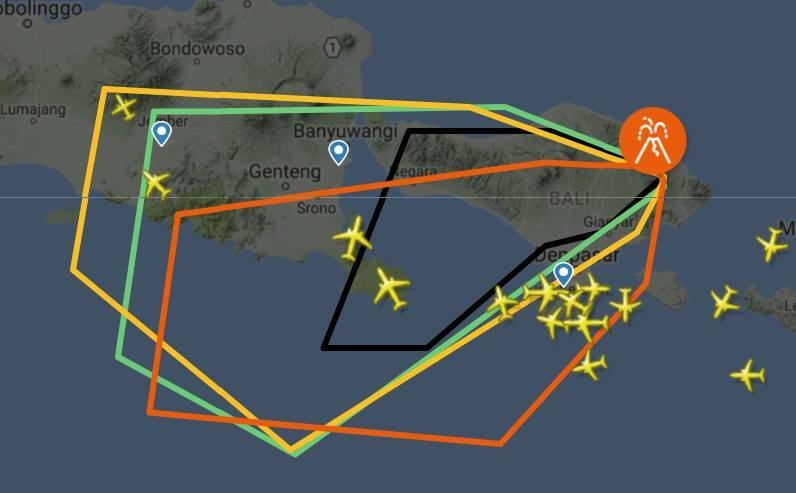 It has been a day of pretty constant activity at Gunung Agung, and I thought it worth summarizing what’s been going on. The day started with weak but steady steam/smoke coming out of the crater. This increased in strength later in the day, and remains pretty much continuous. 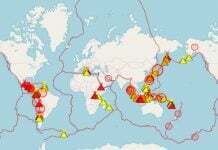 57 blowing tremors were recorded between 06:00 and 18:00. 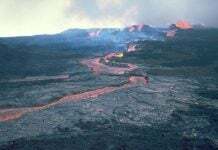 After sunset, a steady glow can be observed in the crater, indicating a flow of fresh lava up into the crater. There are reports of sand and stones starting to fall outside the confines of the crater. PVMBG issued a summary press release this evening that describes the current situation very well. 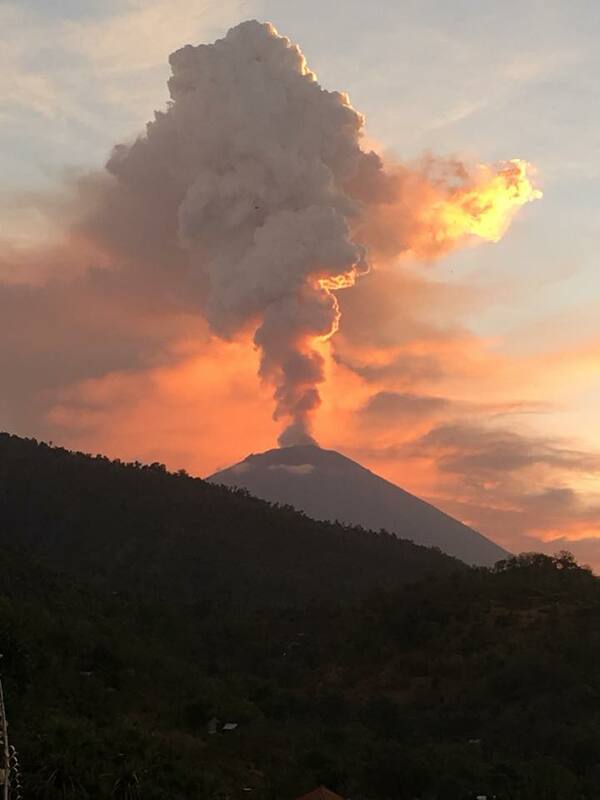 The key conclusion is that at long as we have continuous emission of gases and steam/smoke, any eruption is likely to be effusive – that’s good. 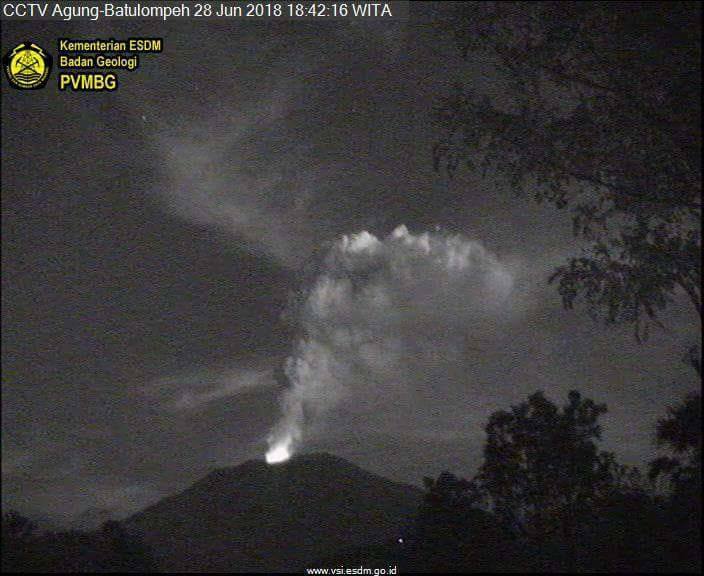 If the glow and steam/smoke stops, that would indicate the pipes leading to the crater have become plugged, and the risk of an explosive eruption start increasing. 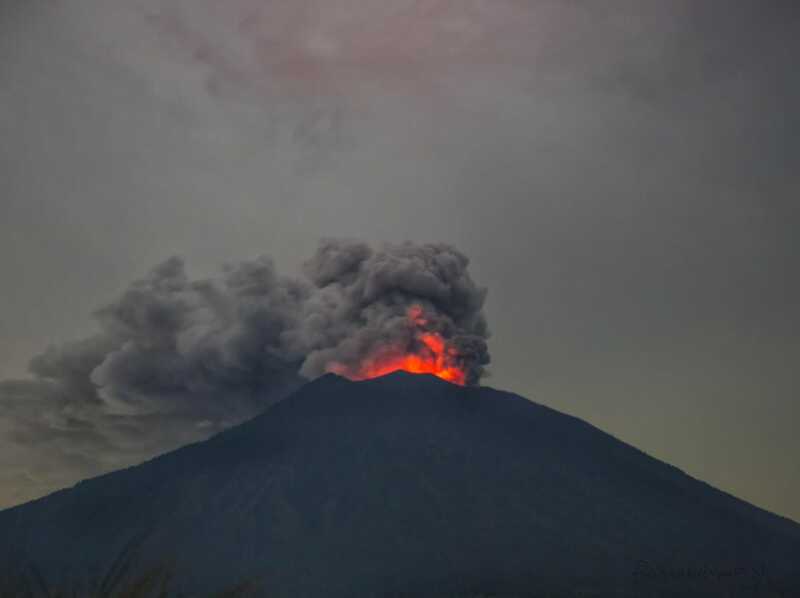 The status of Gunung Agung remains at Level III (Siaga), with a 4 km exclusion zone around the crater. More than 300 people have been evacuated on June 28. 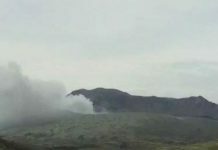 Many more communities are preparing to evacuate after listening to the groaning, grinding and jet-engine noises emanating from inside the volcano all day long. Communities living higher up on the slopes of the volcanic peak are beginning to come down to areas prepared for them. Winds are currently blowing to the northwest at the surface, to the west at 3,000 meters, and bending slightly to the southwest at 5,000 meters. All regional AirAsia flights have reportedly been cancelled, along with Jetstar and Quantas to/from Australia. Domestic flights and other regional flights appear to be flying. Conditions change rapidly, and you should contact your airline for further information. 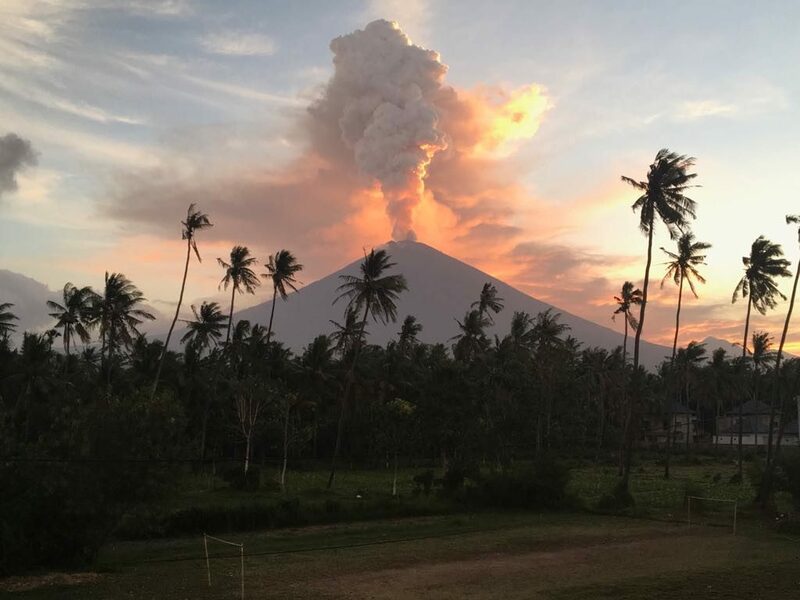 The next large Agung volcanic eruption is maybe just ahead of us. Get prepared. Be ready!